How Do I Test Saliva Samples for My Study? Below, you will find both assay kit and lab-related frequently asked questions. Salimetrics offers two convenient options for Saliva analysis – you can test your samples at your own lab with Salimetrics Salivary Assay Kits, or you can easily ship your samples to the Salimetrics SalivaLab for analysis. With the Salimetrics SalivaLab, you can simply ship your samples and are provided with results at the highest quality standard for saliva analysis. The Salimetrics SalivaLab also includes logistical project management and assays are run by experienced technicians, who have performed over 1 million salivary assays. Description: Ensuring that assay results are accurate and meaningful is a key part of every study. To achieve this goal when saliva is used as a testing fluid, researchers need to be aware that biomarkers enter saliva through a number of different pathways. Description: To obtain consistent results, it is important to always use the same methods, equipment, timing, etc., when testing saliva samples. How does freeze/thaw affect my data? The effects of freeze thaw on most biological measures, regardless of biospecimen type, can be dramatic. Analytes in oral fluid are not distinct or different in this way. As a general rule, multiple freeze-thaws should be avoided. The most practical way to address this concern is by aliquoting samples after collection. However, there can be small differences in analyte concentrations when whole saliva is aliquoted. This is due to the viscous nature of saliva. Some analytes are more resistant to freeze thaw than others. We recommend that investigators consult the literature for their analytes of interest and reach out to Ask An Expert for additional information. Please also see this Salivary Bioscience Bulletin for additional information on handling saliva samples and testing. 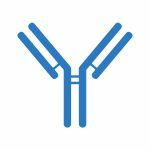 What different types of immunoassay formats does Salimetrics use? The assay formats differ for different analytes. In the kit insert (available on-line) the protocol for running each specific assay is outlined. It is a good idea to review these protocols on-line before you order to ensure that the equipment needed to run the assay is available. Can Salimetrics kits be used to measure analytes in specimens other than saliva? Yes, considered “off label” use, we cannot guarantee the performance of our kits when used for specimens not validated by us, but there are a number of research publications that have used our kits for specimens other than human saliva (such as hair, tissue, plasma, serum, tracheal samples, tears, sweat, pulmonary fluid, etc.). The Salimetrics cortisol kit has been used to pioneer the measurement of cortisol in hair, and this protocol is now published. We are unable to provide protocols for “off label” use, however, these modifications are often reported in the published literature. Can Salimetrics kits be used to measure analytes in specimens from other species / animals? Yes, in theory, since the molecular structure of small molecule hormones is the same across species, it is possible to detect it in multiple species, however Salimetrics kits have only been validated for human saliva and we are unable to guarantee the performance of the kit when used with specimens that have not been validated. In addition, the levels of salivary analytes can be very different between species, and some species may not have certain analytes in their saliva. We recommend careful pilot testing be conducted to verify assay performance in saliva samples from non-human species. Salimetrics assay kits, developed for the measurement of proteins such as IL-6, sIgA, and CRP, should not be used for measurements in non-human species since the homology across species is fairly low and the likelihood of the assay working is minimal. The Salimetrics cortisol assay has been shown to work in horses, dogs, porcine, deer, antelope, fish, sea lions based on published literature. What screening questions should I be asking when collecting saliva from participants? Can I use my assay kit after the expiration date? Salimetrics can not guarantee results for expired kits and we generally do not have replacement components available for expired kit components. You can, at your own discretion, still run the assay and if the control values are in range then the assay results should be valid, but expired kits may be used for teaching purposes and to generate results not intended for publication e.g., a feasibility study/pilot study. What is the difference between a ‘research’ kit and a ‘diagnostic’ kit? Diagnostic kits have specialized labeling requirements dictated by the US FDA. If you intend to use the assay results to make a clinical or diagnostic decision, then you are required to use a Diagnostic kit. Academic researchers typically use/need the ‘Research Use Only’ designated kits. How do Salimetrics kits compare to other company's kits x or MS? Each assay methodology has strengths and weaknesses, and will generate slightly different results compared to each other, even when performed perfectly. The Salimetrics assays kits are calibrated to National Institute for Standards and Technology (NIST) Standards and results should be similar to other assays that have also incorporated NIST Standards for their assays. As part of our internal QC process, we also incorporate strict criteria to ensure that each manufacturing step is tightly controlled to minimize CV values between wells, and hold our assay performance to the highest standards. Our manufacturing processes are ISO 13485 compliant. What is the serum/saliva correlation for all Salimetrics kits? Serum-Saliva correlations for analytes found in serum can be found in the literature as well as on our website (specific to each analyte). Some analytes measured in saliva are manufactured locally, such as sIgA and sAA, while others have a mixed relationship where some of the measurement is due to local production while some is systemically produced and makes its way into saliva through serum, e.g., IL-6, and it is difficult to generate an accurate serum to saliva correlation for these analytes. It is important to determine the context for the measurement of these analytes prior to the study, and its impact on the research question. To ensure highest quality assay results, pipetting of samples and reagents must be done as quickly as possible (without interruption) across the plate. Ideally, the process should be completed within 20 minutes or less. Please do not deviate from the recommended protocol as described in the kit insert unless a validation is performed to determine equivalency in the results with modifications to the recommended protocol. Can I change the procedure for one of your assay kits? Changes to the validated assay procedure would be considered ‘off-label’ use of the product and we are unable to guarantee kit performance if the protocol, as it is defined in the kit insert, is not followed. Any changes to the kit protocol should be validated by the end user to determine if there is any impact on the modified protocol to the kit performance and to determine equivalency to the results obtained when the recommended protocol is followed. How do I set up/program my plate reader for Salimetrics assays? We are able to send instructions to individuals requesting a set up protocol on BioTek plate readers. Some of the steps may be relevant to other plate reader programs as well. We recommend you also confirm plate reader settings with the technical support team for the plate reader used in your lab. What is a secondary filter ‘correction’? Secondary filter correction readings are meant to eliminate any background signal that may interfere with the specific signal from each well. We recommend a secondary filter correction, however it is not necessary. If secondary filter readings are acquired, one of the first steps in processing the data will be to subtract the secondary filter values from the primary filter values, e.g., subtract OD490 value from OD450 value. What equipment do we need to set up a Salivary Assay Laboratory? We can provide you with a basic list of equipment required for running an ELISA, however we also recommend you research the different equipment choices and pricing. Will Salimetrics kits work with my brand of plate reader? Salimetrics kits are not plate reader specific. Any plate reader that provides measurements within the visible light range and is capable of reading 96 well plates should work with our kits. Each specific kit insert provides recommendations for filter(s) needed to measure absorbance, and provides instructions on how to perform calculations and data reduction steps for deriving concentration measurements off the standard curve; Salimetrics recommends a 4 parameter curve fit for the ELISA or EIA assay formats. What Kit Validation test procedures should I run in my laboratory? Salimetrics kits have been extensively validated during assay development. If you wish to revalidate these kits, we recommend you use the criteria as outlined in the FDA document “Bioanalytical Method Development and Validation”: https://www.fda.gov/downloads/drugs/guidances/ucm368107.pdf. Should I run my assays in duplicate or singlet? We recommend samples be tested in duplicate but it is up to the researcher to determine if they want to perform singlicate testing. When reviewing a manuscript, singlicate testing may be considered less acceptable since most studies will also publish intra-assay CV percents for values generated in duplicate. Towards this, if the study is large, it may be considered acceptable to run 90% of samples in singlet, and 10% in duplicate to provide information on intra-assay CV values. If saliva is viscous you can break up the clot with a pipette tip and re-centrifuge and/or you can also try centrifuging for a longer period of time or at a higher speed. Refreezing saliva samples can help with the additional precipitation of mucins still in suspension, but this is an acceptable route only if the analyte to be tested is not affected by multiple freeze thaws. Sometimes, pipetting slowly can help with accurate pipetting. Can I thaw my saliva samples the day before use? We recommend saliva samples be thawed on the day of the assay run. Samples thawed overnight and stored in the refrigerator may have lower results due to sample degradation. Can I leave the kits out overnight to warm to room temperature so I can start the assay as soon as I get to work? This is not recommended by Salimetrics. The stability of some of the reagents within the kit may get compromised and affect the assay itself. What are the important performance characteristics of an assay that should be used when determining the best or appropriate assay for my lab? The most important characteristic when choosing a saliva based assay is picking a methodology that will give you the highest sensitivity, and specificity while being reproducible for your specific sample type. Salimetrics kits are designed specifically for detecting the low levels of analytes found in saliva, while also accounting for the matrix effects observed with saliva. Salimetrics assay kits are also standardized to NIST standards, and will match other methods that also use the same standardization. Performance characteristics for each Salimetrics kit can be found in the kit inserts/protocols online available on the Salivary Assay Kits page. Why do you recommend using NSB and B/Bo in your assay calculations? Both NSB and correction wavelength readings help eliminate any non-specific background signal and tighten up the results. Neither are necessary for assay performance and to get concentration values, but we do recommend using both to get higher quality results. Do your hormone kits measure synthetic hormones? Please check the cross-reactivity chart/list in the assay kit insert. If your research participants are taking exogenous sources of hormones then it would be very important to run pilot studies since we do not have cross-reactivity data for all commercially available synthetic hormones. Can I get replacement kit components? In most cases, Salimetrics is unable to replace kit components, because assay kits are QC’d with components that come within the kit and each lot number is qualified as a whole. Generally we do not have replacement components available because they are kit lot/batch specific. However, sometimes bulk reagents can be replaced. Please Ask an Expert for details. Do we need a fume hood in our lab to run your salivary assay kits? Hoods are not necessary to run Salimetrics assay kits. However, there is a safety issue to be considered if samples are known to be from subjects with infectious disease. We recommend the use of personal protective equipment PPEs when handling saliva and when running the assay. If you are running samples from patients with known infectious disease, handling samples in a biosafety hood would be important. Sometimes samples held at RT can develop a strong odor. Technicians running assays may prefer to run such samples under in a hood as well. Saliva collected for DNA analysis using SalivaBio collection devices can be tested for other analytes as well. DNA is collected from the SalivaBio swab material after centrifugation, so the saliva retrieved from the swab storage tube can be used for testing other analytes. Zsofia Nemoda, Maria Horvat-Gordon, Christine K Fortunato, Emilie K Beltzer, Jessica L Scholl and Douglas A Granger; Assessing genetic polymorphisms using DNA extracted from cells present in saliva samples; BMC Medical Research Methodology 2011, 11:170 doi:10.1186/1471-2288-11-170. Unfortunately, the Oragene device contains DNA stabilizers that will interfere with the Salimetrics assays. We recommend the use of our passive drool devices or swabs if both DNA analysis and analyte measurement is to be performed since SalivaBio collection devices do not have any stabilizers that will interfere with assay analysis. What is the repeat criteria at Salimetrics for each analyte? Salimetrics uses a CV of >15% of the final concentration between replicates as the general cutoff for repeats. CV’s are naturally higher for values in the lower end of the standard curve where a small change in value produces high CV’s. To reduce the number of repeats, Salimetrics uses a predetermined absolute value difference between value #1 and value #2. Please contact Salimetrics if you need more detailed information about a specific analyte. Can I ship samples from outside the United States to Salimetrics for analysis? Contact Salimetrics for specific instructions regarding documentation that must accompany your samples. A deviation from the proper procedure will cause a delay in getting samples through United States Customs. Shipping regulations may differ outside of the United States. Please investigate this before shipping. If you have any questions, please Ask an Expert for assistance. Will sodium azide interfere with Salimetrics assays? WARNING: Sodium Azide is highly toxic to humans and very dangerous for the environment! Define functional and analytical sensitivity. Analytical sensitivity was used to describe the upper limit of test results expected when testing a sample containing no analyte. This statistic has no practical application alone, since there is no analyte in the sample. It is difficult to apply this statistic to anything other than the measuring system. Analytical sensitivity is described as a concentration limit, above which the user expects the observed signal to be the result of analyte presence, in other words, the level at which the measured value is reflective of true analyte and not simply noise in the system. Analytical sensitivity is typically calculated by repeatedly testing a blank (sample containing no analyte) and determining a limit either 2 or 3 standard deviations (SD) above the observed mean. The number of replicates, whether 2 or 3 SD is appropriate, and other details have not been established by consensus. Functional sensitivity is a term that refers to measurement accuracy with a stated imprecision. The concept was first applied to thyroid-stimulating hormone (TSH) assay, where “generations” of TSH assays were defined by the concentration of TSH that could be measured at ≤20% coefficient of variance (CV). A CV of ≤10% is considered the desired level of imprecision for other analytes, such as troponin. While functional sensitivity is related in a more practical sense to clinical sample testing, there is no consensus protocol for establishing this statistic. (This is from the Beckman Coulter website and needs to be reworded but is excellently done).